Most of us wouldn’t dream of traveling—or even taking a day trip—without bringing a camera along. Photographs not only let us share our experiences with others, but they preserve once-in-a-lifetime moments, breathtaking sights, and visits with friends and loved ones precisely the way we want to remember them. The Art of Travel Photography: Six Expert Lessons is your ticket to capturing the beauty and awe of any scene, anywhere in the world. 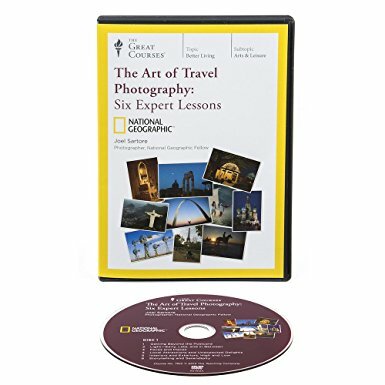 Your guide is Joel Sartore, a National Geographic contributing photographer with more than 30 years of experience who has traveled the world shooting photographs in the most challenging of conditions. Filled with practical tips, proven techniques, and field demonstrations, this course helps you learn to see the way professional photographers do so you can take compelling photographs worth framing and sharing—whether you’re traveling to some exotic locale or simply spending a day at the beach.